Energy efficient anaerobic technology for Distillery spent wash, Starch Waste Water and other agro-based Paper industries. 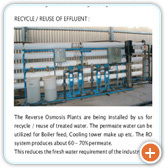 The Anaerobic Treatment of waste water is well established process which has wide range of application. 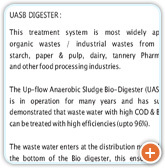 This process is being used by most of the industries and more than 80% of the treatment is being undertaken through UASB type of digester. However, the anaerobic treatment of waste water with COD values ranging from 2000 to 130000 mg/l needs adequate retention time and area (foot print) . At present the cost of owning land is becoming expensive day by day, this is true for existing or up-coming industries, Hence installation of ETP has been very challenging as the available area may be a constraint. M/S United Envirotech Pvt. Ltd.,(UEPL) has established its name in the UASB process with its consistent performance. The expertise and in-depth knowledge motivated UEPL to innovate so that the treatment becomes even more advanced. The in-house study and developments yielded fruitful results. 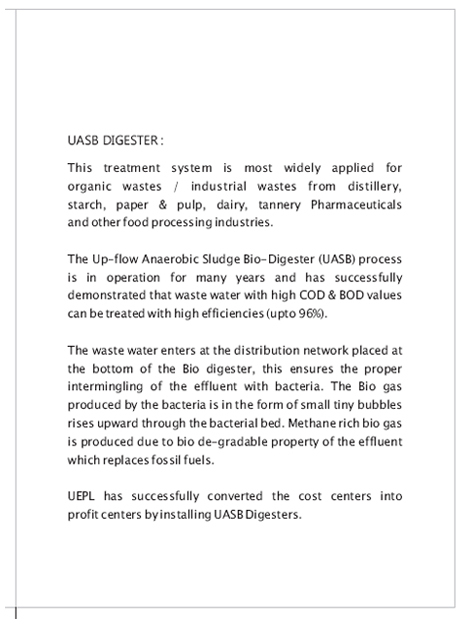 UEPL has successfully developed a new anaerobic digester. This digester requires very low retention time for treatment and very less area (15 to 20% of the normal UASB digester) for installation. 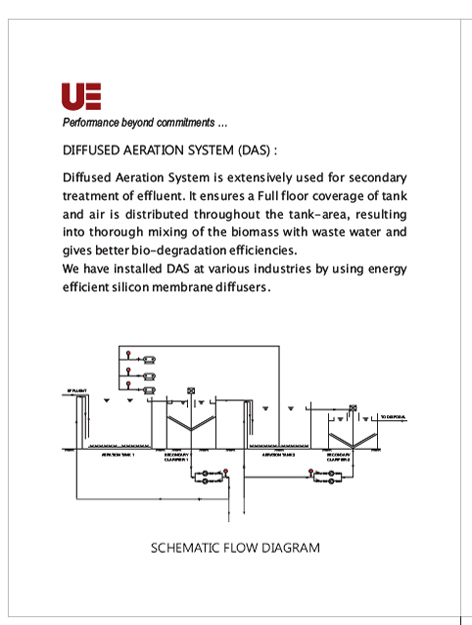 The U- LRD (United Low Retention Digester) process has been developed as an anaerobic treatment system based on immobilization of the biomass in the form of well settling sludge granules and degrades the organic matter without dilution water. An effective separation between the biogas, liquid & sludge is achieved by Gas solid separator in two stages. The digester height is 20 -25 mtrs, thereby reducing the foot print. 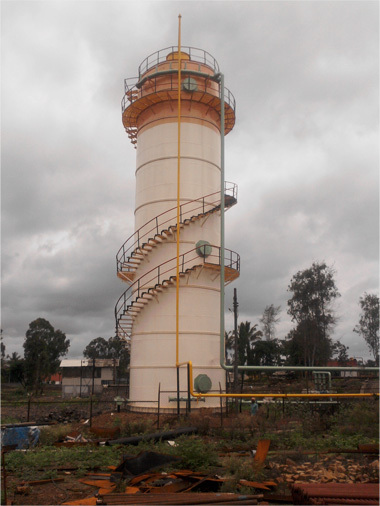 The unique gas-liquid recycle ensures total anaerobic condition in the system , this avoids scaling and other process issues. U-LRD has no moving parts. It requires only one feed pump for supplying the effluent to the bottom of the tank. The digester requires minimum operating power during treatment. 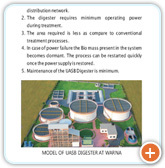 The area required is minimum compared to UASB digester. 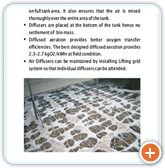 The odor emanated during the process will not spread as the digester top is covered. 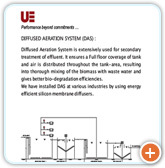 The performance of ULRD is at par or better than normal UASB Digester in terms of COD reduction and gas generation. The calorific value of the bio-gas is about 5200-5300 kcal / Nm3. Breweries - The effluent COD will be in the range of 3500-4500 mg/lit. Paper & Pulp - The effluent COD will be in the range of 3500-4000 mg/lit. Sugar: The effluent COD will be in the range of 3400-4000 mg/lit. Loading rates of the ECSB reactor are typically in the range of 15 - 35 kg COD/m3.day. To treat waster water for residual contents. There is no need to add specially prepared bacterial or fungal culture from outside to enhance the rate of composting. The native microbial flora in the organic waste are able to withstand the changes in temperature and pH. They are also able to face the various biochemical changes happening during composting. Vasumitra helps in better multiplication of these microbes in the waste. The ULRD concept is aimed for treating low & medium strength waste-water at high volumetric loading rates, with shorter hydraulic retention time. 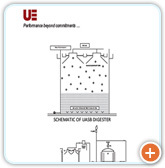 ULRDs are simply the vertically stretched versions of traditional UASB digesters. 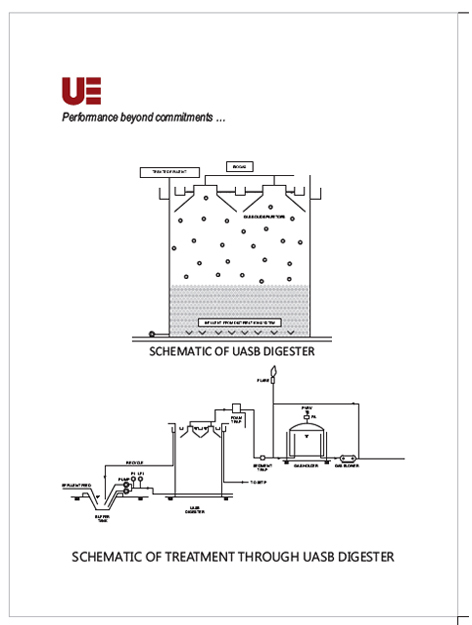 UASB digesters are commonly built up to 6.0 to 12.0 m height while ULRDs are 20-24meter tall. The Pilot ULRD plant were designed at 8-15 VLR, maintaining up flow velocity between 1.4 mtr/s to 5mtrs/sec,. 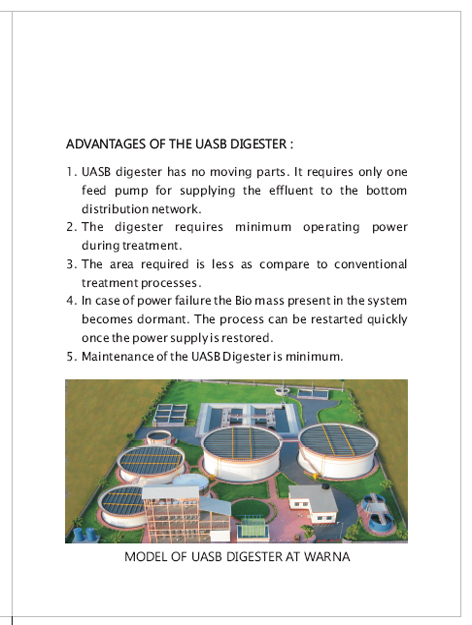 The main advantage of ULRD is that it offers a smaller footprint area, higher mixing due to the higher up flow velocity and consequently an improved mass transfer and biomass activity than the UASB digester. Also as the name suggest, it offers the prime advantage of LOW RETENTION TIME. ULRD responds to the need of small, medium and large sized chemical and paper industries. 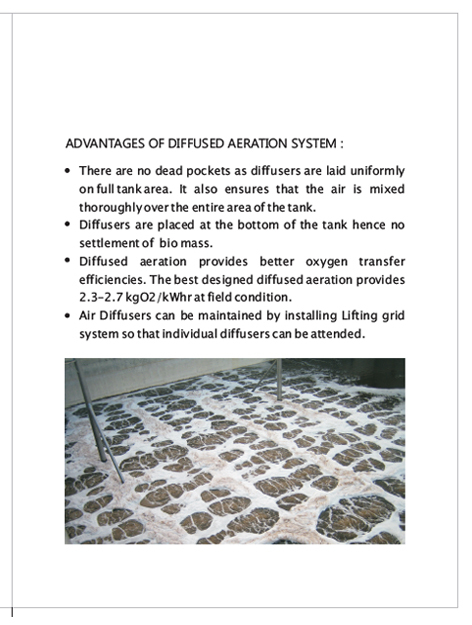 To reduce the energy costs and obtaining a high up flow velocity, the ULRD introduces the internal circulation system induced by biogas collected within the system. ULRD can be considered as two anaerobic treatment compartments one on top of other, one highly loaded and one low loaded. 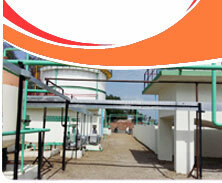 Its special feature is the separation of biogas in two stages within a tall digester. The first compartment of the digester contains an expanded granular sludge bed where the most organic pollution is converted into methane rich biogas. Pilot plant had been installed by us to study the anaerobic treatment of effluent coming from edible oil mill, a special culture is being developed to treat emulsified oil present in the effluent. The study was carried out at Client’s premises; we have installed the plant and deputed our chemists round the clock to operate the plant. The results are encouraging, based on the pilot plant study a full scale anaerobic digester shall be designed. Full-scale plant is eligible for capital subsidy from MNES. 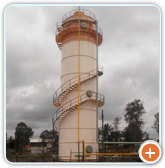 A pilot plant studies have been conducted on high COD pharmaceutical/ bulk drug streams. The results are better than expected, based on the [performance of pilot plan, main plant design has been suggested. Further the pilot plant studies have been conducted on “Mycelium” waste. The results of the studies are very encouraging and Now proposal for full scale plant has been submitted. The manufacturing unit at Mergalwadi, Bhagwatvasti, Kurkumbh , on Daund Kurkumbh MIDC Road, was established in the month ofApril 2016. This unit is in operation and l fabricating all the critical components of the effluent treatment plant such as Clarifier Mechanism, FAT Removal Unit, PSF & ACF, Flare, Foam Trap, Sediment Trap, Flame Arrester , Agitator etc. The workshop is spread on one acre land. All the infrastructural facility likeun-interrupted Power from MIDC feeder , Water from own source, well equipped Office helps in maintaining the manufacturing schedule. The unit is equipped with machineries likeCrane, welding machines, cutting machines, rolling machine, sheet metal silting and bending by hydraulic press, lathe machine, power saw drilling machine etc. 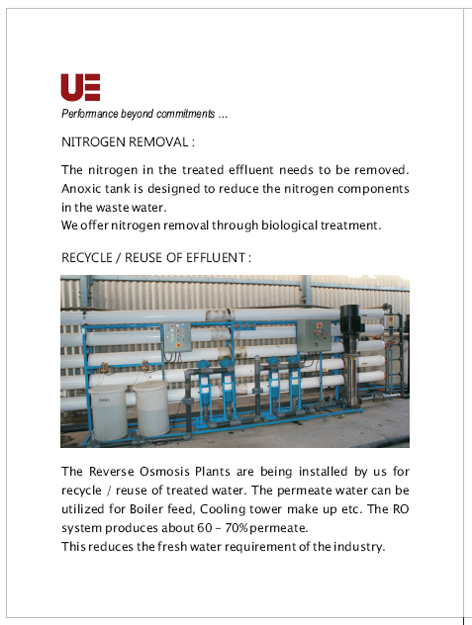 Skilled workers with expertise in the manufacturing of the critical components required for the effluent treatment plants are employed to ensure quality of the products. In addition to above a dedicated space and facility is also being maintained for fabrication Stainless Steel work. 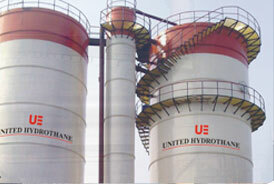 The unit head is having more than 30 years of experience in fabrication and erection activities. The unit head is supported by experienced staff to ensure timely production and dispatch of the equipment. 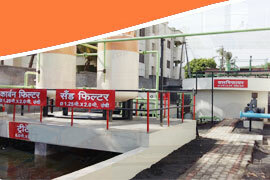 This facility will cater for fulfilling the requirement of the adjacent industries./client.